I've never seen these pies in our area. I feel like I've missed out on something wonderful! 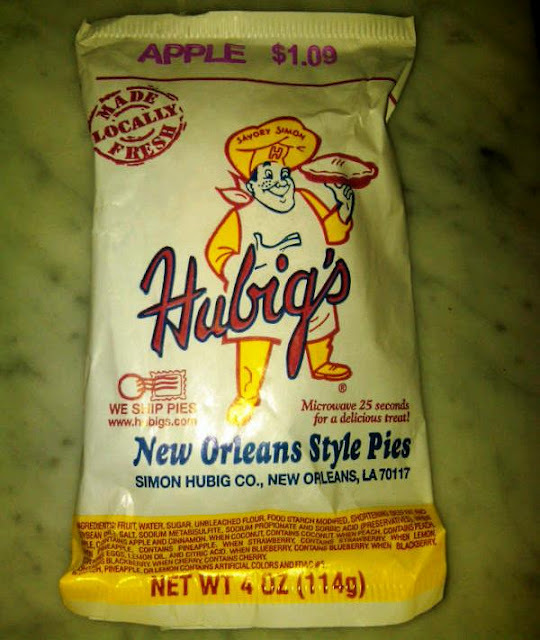 I think they were sold in a limited area in the south and, while they were good, what was most surprising was how good they were for a prepackaged pastry sold in drug stores! So, Dawn, you really haven't missed anything so wonderful. Plus, they are supposed to reopen at some point, so maybe take a trip to New Orleans?!? A trip to New Orleans, indeed! How fortunate that my husband is presenting at a conference in New Orleans later this year. Lucky you, Dawn! I hope you can go with him and eat your way through the city! Love the packaging! I hope they rebuild. MschAA, you're right, the packaging is great. It probably hasn't changed much since 1922!